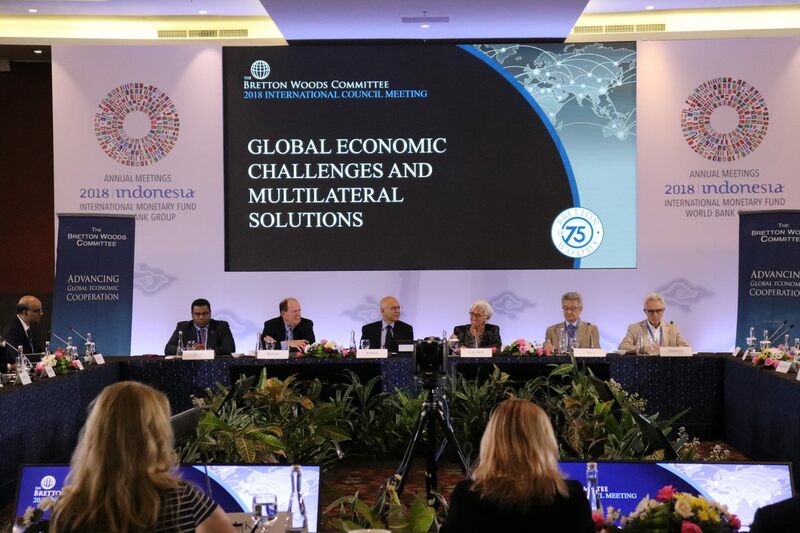 The Bretton Woods Committee engages its members and stakeholders in Bretton [email protected] on a global scale by hosting opportunities throughout the year for members to contribute to the historic dialogue through surveys, large conferences, focus groups, roundtables, and other events. Please check out our Events page for information on upcoming events. The Committee also engages members and stakeholders in the Bretton [email protected] dialogue through written contributions to the Bretton [email protected] Blog. The blog gathers perspectives and thought leadership from the Committee’s diverse membership on past, present, and future issues impacting the Bretton Woods architecture, institutions, and Committee.